A young adult romance with witches, this urban fantasy integrates fiction with our modern world. 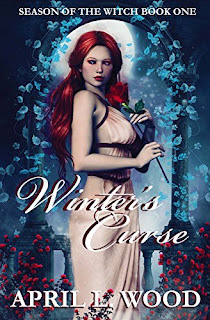 Winter is chased from her home by witch hunters and races against time to reach a safe haven. But how safe is it, and what dark secrets have been carried by those of the covens? She finds comfort with a boy, not of her clan, and discovers how unforgiving the Segregation Curse is. Determined to shift the tares from the wheat, she struggles at every turn to discover the realities about herself, her curse, and those who pretend to be her allies. Will she learn the truth in time, or will she be lost? I found this story interesting on many levels. It is fast paced with a blend of mundane and magic. While not a typical read for me, it picked up well and continued with enough momentum to keep me reading on. April L. Wood has done a great job. But don’t believe me. Pick up a copy and look for yourself. Be sure and drop a review. She will thank you for it.